Is Your Business Listed on Google My Business? Take advantage of Google My Business – It’s free! We all understand that in order to have our businesses recognised by a large number of people we have to have a web presence. Then when we get a website established we have to draw attention from the search engines so we can be recommended amongst the top ten results on the first page that are relevant to a particular keyword. 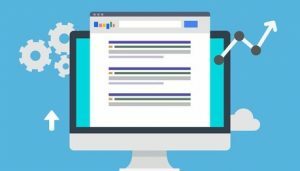 What you may not know is Google my Business will make it easier for people to find you online, and for you to manage your online presence. You can think of Google My Business as a streamlined approach to managing all of the different things Google provides. Google My Business lets you manage the information on Google maps and the Google social sites so your online presence is less confusing. With Google My Business you will be able to get information about your business operations placed on the Google Maps. You can set your business information like the hours that you are open for business, your location, and how to reach you placed, on the Google map. When people pull your info up on the map they will automatically see the other pertinent information you want them to know. When it is time to edit some of the information on one of your Google social sites you can edit the information on all of the search engines helpful pages at one time. You will not have to go to each social site and make changes individually. That means all of your information will be up to date on all of the pages and you will not forget to update any of them. Customers cannot find you if the contact information on one of your pages is incorrect. One thing you should know about your online presence is that it must be interesting. One way to make website appear more interesting is for you to have visual images for people to see. With Google My Business you will be able to add visual images to your pages. You will be able to create that extra level of interest that keeps people on your pages long enough to make a purchase. You will be able to easily show people what is unique about your business. You will be able to make the changes you want to make to your content using your computer, your mobile phone, or your internet ready devices. You will be able to make changes when the idea occurs to you and you will not have to wait until you are at work, or until you get to your computer. You will have total control from your mobile phone, or from any mobile device you are using. We all know that when you own a business you are never really “off” work. With this new feature your ideas will be applied when you have them. There is a bulk upload tool so people who have multiple business locations can quickly add the information they need to change to every location. There are a lot of reasons why you should be using this still relatively new tool from Google. The following are a few of the main reasons why most people are using it. It is totally free of charge. It connects all of your Google social pages with the same information. You can quickly determine if the information about your company is correct on all of the online sources from Google. You can make sure that the information on Google search matches the information on Google Maps and Google+. You can spend less time doing updates to the many different sites your business might be affiliated with. You will have increased traffic to all of your web pages. You will have an increase in sales. It is compatible with all mobile devices so you can work from anywhere at any time. There will be no limitations to your access. When customers search for you they will have no trouble finding you. This means that customer satisfaction will increase, and that means that word of mouth advertising from satisfied customers will increase. You can use this even if you only have an online company and do not have a brick and mortar address, or vice versa. Want to get in contact with me? Ok then, just click here. © Copyright The Big Society.